For a parody to be successful, it has to be both good and first. If you search “Men In Black 3 parody” in YouTube, my video is the first to come up. And it’s the only one that’s really relevant. What I’m hoping by all this is that by being first to the party, I’ll get a head start on views. The script is good, and I especially love the ending. And the video is first, or at least among the first if I missed the others. So, take a look at it, and let me know if it’s successful. Thanks! My animator had the idea of taking really messed-up jokes and turning them into skits. Here’s our first try. It’s offensive. When something as popular as Twilight invades pop culture the way it has, it’s not hard to write about it with at least a passing knowledge. 1. It’s about the characters. A lot of people rip on Twilight because of the drama. However, the drama is what drew fans to the series. Critics whine that vampires and werewolves should be more visceral, not lingering in love triangles. So I played on that. My parody is about a Twilight Saga: Breaking Dawn video game. So I made the first part of the gameplay about relationships, which I see as the strength (not the weakness) of the books. 2. Take it too far. Parodies work if you take it just far enough outside of the spectrum of what’s acceptable in the book’s real world. The second act of the video you’ll see just how far I pushed it. 3. Prey upon people’s preconceived notions. The interaction between Edward Cullen and Jacob at the end is based upon what pretty much every guy thinks Twilight is. It’s an easy joke, and I’m not proud. 4. End with a 180 degree change. The problem with some parodies is that they just keep doing the same joke over and over. So, I wanted to make sure the last thing my protagonist says is a surprise. Snake sounds like an evil version of the guy who narrates movie trailers. “In a world…where things are not as they seem…” He has this menacing tone to him that makes it sound like if he was narrating a movie, he’d want all the characters to die. Snake also really, really enjoys what he does. There’s a subtle element of glee when he’s threatening someone. In order to do the voice, I watched a bunch of clips of the voice actor, David Hayter, mostly spoofing himself. Hope you enjoy! Who the hell is Yukon Cornelius? A lot of characters in kids’ movies are filler. 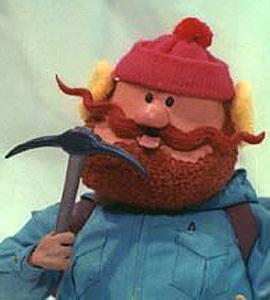 I love Herbie and Yukon Cornelius, but what do they have to do with Rudolph the Red Nosed Reindeer? I guess if the story just stuck to the song, it would be a few minutes long. You can’t really blame the writer for needing to pad the story out for the full 22 minutes. The mice in Cinderella are cute, but they really only serve as someone for Cinderella to talk to. When they make her dress, it’s torn apart. The only difference they make, story-wise, is they steal a key from the wicked stepmother. The list goes on and on. Supporting characters are supposed to support. But most supporting characters in kids’ movies just serve as comic relief, which is weird, because they are often already a comedy. A movie like Beauty and the Beast gets it right, so I could argue that the newer movies have a sense of this.